NYC Real Estate: What Does 2017 Have In Store For The Market? In 2017, with a new President in the White House, mortgage rates on the rise and New York City new construction both for sale and rent increasing, what can we expect from the NYC real estate market? 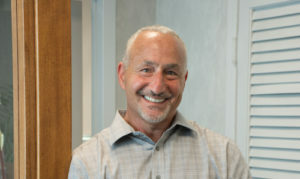 Stephen DeNardo, CEO of RiverOak Investment Corp. The day after the election, Crain’s New York Business ran the headline: “President-elect Trump unlikely to hurt real estate industry that made him.” This is likely putting it mildly. As of this writing, it appears that President-Elect Trump’s proposed cabinet and broader administration will be flush with names and faces from New York City, including industry friendly politicians, bankers, private equity moguls and real estate magnates. The implications for New York City real estate markets are significant… President-Elect Trump’s primary impacts on New York City real estate will likely manifest themselves through: foreign capital flows; sanctuary city dynamics; and costs of construction. My prediction for 2017 is that the residential real estate market will strengthen as a result of Donald Trump’s election, which no one could have seen happening prior to the election, for two reasons. First, although NYC has been a global financial and entertainment center for most of the 20th century, the Trump election and his obvious desire to remain in NYC rather than moving to Washington has made NYC almost a second political center in the US. Interestingly, just as Brexit will reduce London’s global presence, a combination of the weakness of the EU, London’s withdrawal, and President-elect Trumps plan to spend as much time in NYC as possible, will further support NYC as the place to be. Moreover, President-elect Trump’s indication that the US will no longer play the role of global police in every situation and the further softening of the Russian, European and Chinese economies, will trigger more flight to safety to the US, in general, and NYC real estate in particular because of the knowledge that it is a safe haven and real estate can always be sold and the money withdrawn. Obviously, I am very optimistic on the NYC real estate market. Like many in the real estate industry, I am closely watching the transition into the Trump presidency. If President-Elect Trump can deliver on his campaign promise of job growth, that could be a positive thing for the housing market and consumer confidence. Right now, I’m focused on immigration policies and visa reform and their effects on foreign buyers in domestic markets, as well as mortgage regulations and the impact they’ll have on interest rates. We anticipate that international buyers will return in a stronger force than recent years and there will be a renewed strength of the “banker” client as salaries and bonuses are expected to see an uptick in this industry. Trump could be view as a friend of investors, and his proposed policies seem to be positives for the real estate market. The regular international players who have contributed in this market have continued to show interest. In the Middle East, there was an expectation that policy toward the Middle East might change [post Donald Trump]. That looks like it is heading instead in a positive direction, and we’re starting to see quite a bit of investment activity from the Middle East markets, which have been for the last couple of years fairly subdued. It looks like that has started to shift.